The venerable action RPG will be playable on both the PS3 and PS4. One of the last partners brought on stage at Sony's press conference was Blizzard Entertainment. The VP of Story and Franchise Development at Blizzard - and the creative guru in Irvine - Chris Metzen announced the Diablo III will be coming to PlayStation - not only on new PS4, but the action RPG will be available on the PS3 too. 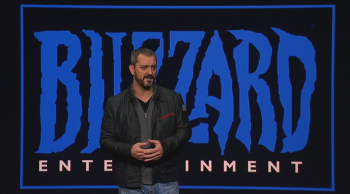 "I'm pleased to announce that Sony and Blizzard are teaming up to take over the world," Metzen quipped. Metzen reminded the crowd that Blizzard got its start on the consoles with Lost Vikings and the company was desperately looking for a way to break back into that lucrative market. He's confident they have figured out the perfect game to do just that ... the one released last year to resounding cries of mediocrity - Diablo III. There's a lot to be said for a PC developer going into console games with a solid and proven franchise. Metzen said the team has figured out how to perfect the interface to work on a controller as opposed to a mouse and keyboard. He even promised a 4 player coop mode that works really well in their internal tests. "Hope to see you all adventuring across the darkened fields of Tristram very soon," he said before taking his leave after what seemed like a very long 3 minutes devoid of any real information.